Recently, when strapped for time, we’ve come to rely on a few really good pre-packaged, vegan friendly products. These, when thrown together with some well cooked veggies, mean we’re still able to get a balanced meal in at dinner time, without spending hours preparing it. 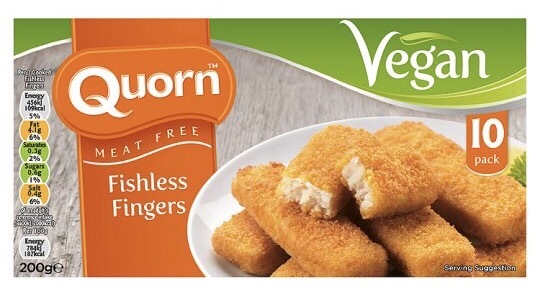 Pre-vegetarian & vegan, we used to enjoy eating fish regularly; which is why we were excited to try Quorn’s new(ish) Fishless Fingers. I have to warn you, if you’re vegan & you’ve given up meat or fish because you don’t like the flavour, these perhaps, aren’t for you… they really do smell & taste like the original product they’re emulating. Like most Quorn products, these are made using Mycoprotein™, a completely meat-free form of high quality protein and a good source of dietary fibre, made by adding oxygen, nitrogen, glucose and minerals to a fungus called Fusarium venenatum. 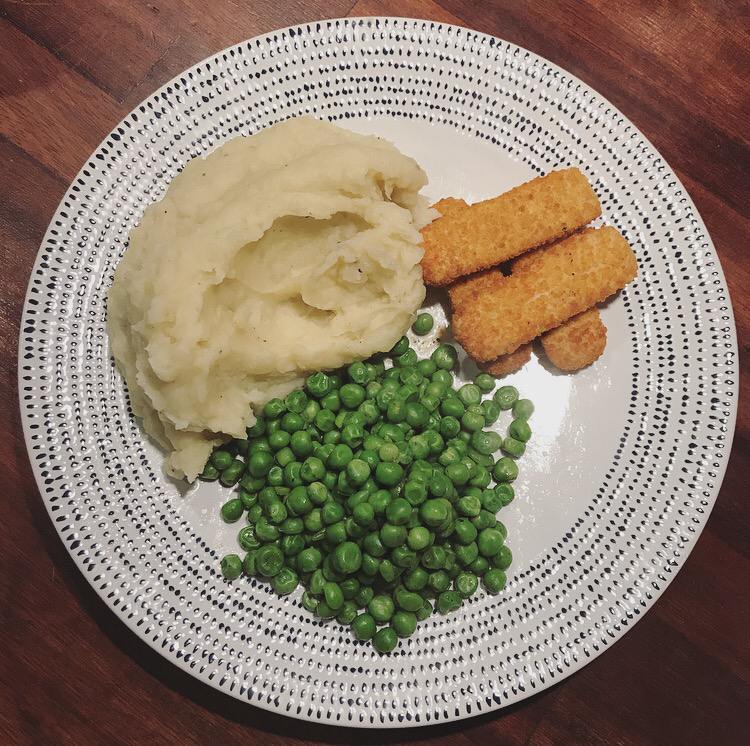 Described by Quorn as fish free savoury flavour fingers, made with , coated in a crispy crumb, we paired these with mashed potatoes & peas, much as you would a regular fish finger. The verdict? I liked them, but the boy wasn’t keen. Give them a go if you miss a good old fish finger buttie, but perhaps not for everyone.